How do you ensure you’re creating a resilient business? This is a question that’s been on my mind ever since Sept 27th, when I was having a catch up convo with a friend. She said to me: it must feel pretty amazing in the aftermath of Hurricane Maria, and with all the traveling you’ve been doing, to know that your business is still running. Very true, although this was the first time I had thought about it like that. It begged the question: how does one create a resilient business?… so that when things do get rough or go a little crazy, you can rest assured that your business isn’t going to crumble. Can YOUR business take a hit? We’ve created a resilient business here at Entrepreneurs On Fire. You’re probably wondering how you’d even know the answer to this question, which honestly is in and of itself the problem: you can’t wait for a disaster to hit to know whether your business can handle it. It could mean the difference between going under or surviving, and my guess is that you don’t want to take that chance. If my assumption is correct, then I have something for you: a checklist you can use to ensure you ARE creating a resilient business. Be proactive. Use this checklist. Taking inventory is the FIRST step to organizing your time and the tasks and projects you’re working on for your business. Start by writing out the day of the week at the top of your paper – the first day, and each day thereafter. Each day, for 1 week straight, let that piece of paper + pen follow you around as you’re working on your business. Each time you work on a certain task or project, simply write it down on your paper under the specific day you worked on it. No task or project is too big or too small to record. This is simply an exercise to help you understand what it is you’re spending your time on, PLUS which tasks and projects are repetitive ones. At the end of the week take a look back at the tasks and projects you’re spending your time on. Now, it’s time to categorize it. Beneath each of these categories place the tasks and projects you recorded in the appropriate column. Which did you find yourself doing daily? Weekly? Monthly? You’ve just discovered A LOT about how you’re spending your time and what tasks and projects you have going on in your business. Now, it’s time to go through your list and mark the tasks or projects that actually DEPEND ON YOU. If you don’t have any employees or contractors helping you in your business, then initially, it’s going to seem as though everything depends on you. Everything does not depend on you. I’m willing to bet there are probably a fair number of projects or tasks you’ve written down over the past week that aren’t necessary at all. There are also probably a fair number of projects or tasks you’ve written down over the past week that shouldn’t depend on you (i.e. you could either automate or delegate them). Actual dependencies are projects or tasks that, if you weren’t doing them, would be detrimental to the growth of your business. In order to legitimately determine actual dependencies, you’re going to have to know what your overall business goals are, and what projects or tasks you’re working on that are directly contributing to you accomplishing those goals. Now that you have a list of the tasks and projects in your business that require YOU, it’s time to create a system for each of those dependencies. I’m not talking about a system that will automate them or delegate them. I’m talking about a system you can use in order to plan out one month – maybe even two months in advance – so that you’re never waiting until something is “due” to get it done. An example might be that you are the content creator in your business. Maybe you have a blog, or a podcast that you produce weekly and publish every Monday for your audience. If this is the case, then instead of waiting until Sunday night every week to create and schedule your content, you could have a system in place that allows you to create and schedule your content out a full month in advance! How great would it feel to have your content scheduled out a full month in advance? How much time would you be able to create in your day-to-day if, instead of working on creating content 2 days a week – every week – you were working on creating content 2 days a week – one time per month? If you’re not really sure how the whole systems thing works, then we have a step-by-step guide for you – both written and audio – right here. The best way to make sure no surprises come up in your business is to calendar out your year. What major projects will you be working on? What events do you plan to attend? What major vacations do you have planned? Based on the major projects, events and vacations you have planned, recognize there has to be a buffer for your dependencies. For example, if you have a major project planned that is estimated to take up the entire month of March, then every other dependency in your business will have to be planned out and completed ahead of time so you don’t fall behind. This is why #3 is so important; once you have systems in place for your dependencies, it’s going to be that much easier to plan ahead. CONGRATS! You’ve just done a ton of great preparation and planning for your business (and you’ve probably discovered a lot of things you never knew about the time you spend on certain projects and tasks)! You’ve taken inventory, you’ve identified dependencies, you’ve created systems for those dependencies, and you’ve calendared out your year. Now, it’s time for a big review. What projects or tasks can you cut – or set aside – that aren’t contributing to moving your business forward right now? How can you plan better so the dependencies you’ve identified in your business can be completed most efficiently? What have you discovered about your projects, tasks, and the time you spend on certain things? What have you discovered about your business as a whole? Schedule it to make it real. That challenge is to not only thoroughly review and implement the checklist I’ve shared above, but to actually put everything you’ve just learned into practice by scheduling time each day, each week, each month to implement it. Drop into the comments below and COMMIT to ensuring your business is resilient. It could mean the difference between going under or surviving, and my guess is that you don’t want to take that chance. The post 169: Checklist: How to create a resilient business appeared first on Entrepreneurs on Fire with John Lee Dumas. This is Part 1 – we’ll cover Part 2 in the January 2018 Income Report! The post Entrepreneurs On Fire: November 2017 Income Report appeared first on Entrepreneurs on Fire with John Lee Dumas. Matthew Kimberly’s first of 15 Principles of Persuasion was all about qualification: making sure that the person you’re talking to wants, needs, can afford and is allowed to consume what you’re offering and creating. Russell James stated during his presentation, If you’re feeling like you’re struggling, then you need a reconnection with your craft, your audience. The post 168: 5 Business lessons from Youpreneur Summit appeared first on Entrepreneurs on Fire with John Lee Dumas. The post Putting things into perspective appeared first on Entrepreneurs on Fire with John Lee Dumas. October’s Tax Tip: Do I need a receipt for that? If you’re like me, your answer to the question “would you like a receipt?” from a cashier is almost always a resounding “no”! While some people, like my Dad, continue to stuff their gigantic wallet with the receipt for every purchase they have ever made, most of us despise paper receipts. What receipts do you need to keep for tax purposes and how long do you need to keep them? In a world that is becoming more and more digital every day, this is a situation that is constantly changing. So when Kate asked me for some best practices on keeping receipts for Entrepreneurs On Fire, we thought it’d be a great opportunity to review the current IRS regulations regarding keeping actual receipts in your business and share them with YOU in this month’s income report! In the world of the IRS, in the unlikely event you are ever audited, documentation is your best friend. And the more documentation you can provide, the safer you are. So on top of everything said after this, whenever you are in doubt, keep the receipt. If at all possible, always avoid paying in cash. It’s far and away the hardest way to prove an expense. First, a purchase via a credit card, debit card, PayPal, etc. are going to offer a decent amount of proof on your statements. Even if you don’t have a receipt, you can at least show the IRS exactly when and where the money was spent. With cash, if you don’t have a receipt, you could very well be out of luck. So for the few instances cash is the only option, always keep the receipt and make a note on it what the purchase was for if the receipt itself doesn’t give it. But avoid paying expenses with cash any time you can. If the purchase you make is under $75, the IRS does not require a receipt. This means those $15 lunches are technically receipt proof. However, keep rules number 1 and 2 in mind here; documentation is king and cash is the enemy. So if you use cash for these smaller expenses, I’d still keep the receipt. For both record keeping purposes and longevity, always keep digital receipts. For online sales this is easy, they will just email the receipt. For in-store purchases, several places now give you the option to have the receipt emailed to you. Always choose that option. If a paper receipt is the only option, simply take a quick picture of it on your phone. Then take these receipts and put them in an online folder. There are also tons of apps out there to help with this, including my personal favorite, Shoeboxed. Far and away the biggest key to surviving an IRS audit is proper bookkeeping, meaning you are using some type of accounting software to track and reconcile all of your income and expenses during the year. With that crucial practice alone, you will be able to at the worst pinpoint any expense in question and know where and when it occurred. Receipts may still be required, but with proper bookkeeping you will be able to locate the needed receipts much easier. We say it almost every week, but all these great tax perks offered to entrepreneurs comes with responsibilities. And one of those responsibilities is the need to track and prove the expenses you take. By following the rules above you will put yourself in great position to survive any questions by the IRS. October started off strong with John speaking at THRIVE: Make Money Matter in Las Vegas. The event boasted several top-notch speakers and attendees, and as we often repeat, attending conferences and meeting others in person can’t be replaced. Tune in to our income report recording to hear about John’s biggest takeaways from the event! October was a big travel month for us, and it all started on the 12th with a flight from Houston to New Zealand. In preparing for our travel, which will continue until November 18th, we made the decision to close the doors to Paradise while we were away. We have a few improvements we’re excited to be working on behind the scenes! So on October 7th we closed the doors to Paradise in preparation for our travel and in order to implement the improvements. Our closing Webinar on October 4th was BIG. We welcomed over 250 live attendees and throughout that day welcomed 50 new members to Paradise! 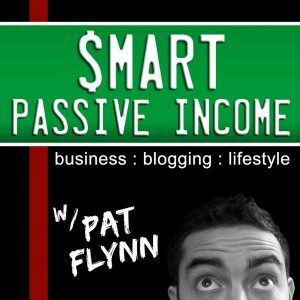 We promoted the live Webinar to our podcasting list, had the opt in front and center on PodcastersParadise.com, and we also ran Facebook ads. This isn’t our first time closing Paradise, but we did take a different approach this time around (to check out how we ran the close last time, you can visit our December 2015 Income Report). We did a Live Webinar followed by 3 days of emails announcing the close and the diminishing bonuses. Kind of crazy to see the difference between the number of new members on the first and last day versus the two days in between, right? While the diminishing bonuses were being sent out each day, the numbers don’t lie: urgency on the live webinar (for people to receive ALL bonuses) and on the last day (to get in before the doors close) was real. So what were those diminishing bonuses? The close was a great success and far exceeded any expectations we had for it. Again, our main goal was to simply keep our customer service capabilities high and have time to implement some improvements within, all while traveling for most of the month. Lesson learned: the power behind Live Webinars lives on, and urgency is still a very viable strategy when it comes to marketing your products and services to your audience. As mentioned above, it all started October 12th with a flight from Houston to Queenstown, New Zealand. This flight kicked off a 40-day adventure inspired not only by the fact that neither of us have ever traveled to New Zealand or Australia, but also by We Are Podcast. Luckily Dave has a lot more experience driving on the wrong side of the road than I do 😉 He grabbed the keys and we were off on the winding road to Hobbiton. Look out for future updates on the rest of our travels in next month’s income report, plus a full recap of We Are Podcast here on the blog! The definition of ‘resilient’ according to Google (in reference to a person or animal) is: able to withstand or recover quickly from difficult conditions. In reference to a substance or object: able to recoil or spring back into shape after bending, stretching, or being compressed. It must be a great feeling to know your business is so resilient! Not only have we proven time and time again that our business is definitely location independent, but our travels throughout hurricane season – starting for me on Sept 5 just before Hurricane Irma passed Puerto Rico, then for John on Sept 26 just before Hurricane Maria – have also proven that our business is incredibly resilient. Puerto Rico has taken a big hit, John and I have taken a big hit, yet the way we’ve built and set up Entrepreneurs On Fire would make it seem as though nothing has changed in our lives. The business continues to run and generate the same amount of revenue month after month, despite the drastic changes to our daily routine we’ve experienced over the past month plus. So, I encourage you to think about this: if it came down to it, could your business survive without constant attention? If yes, for how long? It’s important that you build a strong foundation for your business; it could mean the difference between being able to bounce back and folding should you experience a major, unexpected life event in the future. The post Entrepreneurs On Fire: October 2017 Income Report appeared first on Entrepreneurs on Fire with John Lee Dumas. In January 2013 John and I were walking along the beach in Maine. There was snow on the sand and a deep chill in the air, but the beautiful scenery made up for any physical discomfort. We were talking about the podcast, which had launched just about 3 months prior. I had asked him how it was going. At that point in time I was working my 9 to 5 at a marketing and advertising agency as an account executive, managing the agencies largest client. For years, that had been my dream job. John seemed pretty fired up about the growth and potential of what he was creating with Entrepreneurs On Fire. He told me about how he was starting to receive requests from some of his listeners, who were seeking one-on-one coaching from him; how his network was quickly growing with each new guest who came on the show; and how he had started testing out something that he felt had the potential to be a huge revenue stream: individual sponsorships. What do you think about coming on the team and helping me out with the podcast and growing the business? I was fired up for John, very excited about the podcast overall, and super passionate about his mission of inspiring millions. But one thing I wasn’t: prepared to take my 2nd leap into entrepreneurship – this time with my significant other. I wasn’t really sure how to respond, and if I remember that day accurately I sort of fumbled around with my words for a minute or two. Admittedly, I didn’t know too much about entrepreneurship – or partnerships – at the time; but one thing I did know was that a lot of relationships had crumbled due to miscommunication and disagreements between couples that had gone into business together. So, not knowing what working together would do to our relationship was my first block. My second block: I didn’t understand, and I couldn’t immediately see, how I fit into the business. The absolute last thing I wanted to happen was to become a back office assistant to my boyfriend. A couple of weeks passed, and I had definitely thought about what John had asked me on the beach that day – a lot. While my job was exciting, challenging and exactly what I had wanted for years, it was starting to wear on me. Late nights (or early mornings, depending on how you look at it) were becoming the norm, and the pressure to please the biggest client our agency had was causing an unhealthy amount of stress in my life. I’m not sure if John’s question – and subsequently the idea of working together being on my mind – prompted this realization, or if it was simply time for me to find a new path. Either way, I had a big decision to make: stay in my 9 to 5 “dream job”, join John at Entrepreneurs On Fire, or give my own entrepreneurial venture another go. I have to admit, something about John and I sharing a vision, making a huge impact in others’ lives, and learning how to navigate completely unchartered waters together was definitely appealing. We talked about me joining the team a couple of weeks later, and a couple of weeks later, and a couple of weeks later. It wasn’t until early March that my big decision to join John at Entrepreneurs On Fire was official. That decision has paid off in numerous ways throughout the years, and looking back I now know why it was such a tough decision: I’ve never been so uncomfortable about taking a new path in my entire life. I made the decision to join John at Entrepreneurs On Fire around March 2013, two months after he had initially asked me if I was interested. During those two months I had done a legitimate amount of brainstorming and thinking. Between the first time John asked me if I’d join the Entrepreneurs On Fire team and us making the joint decision to actually make it happen, I had two major questions to answer. 1. What would happen to our personal relationship? In order to answer this question I felt I had to come up with solutions to the things that scared me the most about us working together. Mainly, I wondered how we would separate our working relationship and our personal relationship. I also wondered how we would handle, and hopefully in large part prevent, major confrontations or disagreements related to the business. 1. Setting very strict boundaries, and both committing to holding one another accountable to those boundaries. 2. Promising that open and honest communication will never be compromised due to “feeling bad” or “not wanting to hurt the other’s feelings”. 2. How do I fit in to this business? As I mentioned earlier, I didn’t want to risk becoming a back office assistant in the business. But how could I ensure that wouldn’t happen? First thing John and I did was each take a strengths assessment to find out what each of our strengths – and weaknesses – were. This allowed us to immediately and visually see that a lot of our strengths and weaknesses were opposites, confirming that if we could successfully split our tasks so that each of us were working on the things we’re best at, we could really make some big things happen together. On the heels of discovering our biggest strengths and weaknesses – and overall that we are very different people when it comes to what we’re best (and worst) at – I decided to write out what exactly I wanted to do in the business (what I enjoy and get excited about), and also what I’m best at (these were the skills my previous jobs hired me for). After adding to each of these lists over several days – editing, revisiting, brainstorming – I shared it with John. Then, he provided feedback on both parts: what I wanted to do, plus what I knew I could do well. Knowing that what we had planned, and what actually ended up happening would vary, we both committed to each other, and to the business, that we would be all in, and all in this together. So being able to answer these two questions has made all the difference, and anyone who is considering partnering with their significant other shouldn’t take another step until they’re both able to answer these questions. And feel comfortable with those answers. One thing I’m most grateful for when it comes to working with my significant other is that it has brought us closer together than ever would have been possible otherwise. Having a shared vision has allowed us to stay in synch. There has rarely – if ever – been a question in either of our minds about where we’re headed with the business (even if that direction is greatly unknown to us both, we agree on it). Also, having an incredibly deep understanding of the struggles and wins we’ve both hit along the way has allowed us to support one another, and lift one another up, countless times. These are my favorite things about working together. Because that’s what relationships – and entrepreneurship – are all about. We make sacrifices, we meet in the middle, we support and lift one another up, we’re willing to be flexible, and above all else, we love one another – and what we do. I’ve given a background on how John and I started working together, and also shared what I believe are the two most important questions anyone considering working with their significant other should answer. But what are some things we’ve learned along the way that we wish we would have known at the start? When you love what you do, it can be tough to turn it off, and when you’re working with your significant other that means business can take over quickly – sometimes without either of you realizing it. Over the years we’ve continued to set – and reflect – on boundaries to make sure we’re both still happy with the balance we’re giving our personal relationship and our business relationship. One example is that dinnertime has become an important boundary for us, and a turn off trigger for me. Once I start cooking dinner, work is done for the day. And once we sit down to eat, it’s time to check out of being ‘at work’ and into being ‘at home’. We’re also conscious of making time on the weekends to unplug and do things outside of work. Whether that be a hike, a mini road trip, or a night out, we always make time for it. And remember: setting the boundary isn’t enough. You have to agree on whatever you’ve set and commit to holding one another accountable to it. Otherwise, getting into routines that will eventually make either – or both of you – unhappy is a slippery slope. Compromise is important in personal relationships and in business relationships. I can assure you, you won’t always agree on the same path, the same strategy or share a vision for the same outcome, and so it’s important that you’re willing to step aside. The best way we’ve done this is by stepping aside for each other based on who has expertise in that particular area. For example, John is much more the expert when it comes to how to podcast is produced, published and marketed. If he feels it should be done a certain way, I’m not going to try and tell him otherwise. That’s his area of expertise. However, when it comes to managing the team who helps us with the show notes, running our social media strategy, and going back and forth with sponsors for talking points and agreements, that’s where I run point. John isn’t going to tell me how I should manage that. This is why understanding one another’s roles and what each of you is best at is so critical to establish before diving in together. When you know who is taking the lead on what it’s much easier to avoid potential disagreements or arguments over how something should play out. When I first joined John at Entrepreneurs On Fire, I was so nervous about making decisions or diving head first into projects. It seemed like such a huge deal to determine how something might run, or who should handle what. But it’s important to remember that nothing is set in stone. Entrepreneurship happens one step at a time, so if you’re not sure who is best at something, or how a particular project should run, just test it out and see what happens. Mistakes will happen, and you’ll work on projects and tasks where neither of you have experience nor knowledge in how it should be done. Figuring it out, and getting to where you want to go, requires support. Sometimes that means verbal encouragement. Sometimes that means respecting the other person’s time and bandwidth, and not involving them at all if it’s not required. And sometimes that means stepping in to brainstorm and handle the tougher situations together. Working with your significant other is such a treat, but you’re missing out on a huge part of the experience if you can’t take time out to enjoy the journey you’re on together. There will be tough times, happy times, down times, and up times; the fact that you have someone to share that all with is pretty special. So be sure to take time to celebrate your wins together and reflect on lessons learned together. If you do, it’ll not only be great for your relationship, but for the business, too. This post barely scratches the surface of what it means to be partners in both business and in life, and I’d love to share more after hearing from you! Post your questions about diving into business with your significant other in the comments below, and I’d love to answer them. The post How to work with your significant other – without ruining your relationship appeared first on Entrepreneurs on Fire with John Lee Dumas. Last month we discussed medical related expenses and I had to give a lot of bad news about just how deductible (or nondeductible) those medical expenses actually are on your taxes. Unfortunately, for most people, medical expenses won’t be deductible at all, and for the few who can deduct them, it will likely be a small portion of the actual amounts paid. This month, I’m going to give a bit better news. There are a few ways to make medical expenses more deductible, and these tips are even more applicable to self-employed people. Here are two ways to drastically increase the amount of medical related expenses you can deduct on your taxes. We talk a lot about how the tax code favors entrepreneurs, and the health insurance deduction is a great example of that. For those employed in a traditional job that have to pick up private health insurance, in order to deduct the premiums they are limited by what we discussed last month. First, they have to itemize and second, even if they do itemize, those costs are still reduced by 10 percent of your adjusted gross income. For those who are self-employed, the rules are much more favorable. If you are self-employed and are not eligible for a group plan through your spouses job, you are able to deduct the entire amount of your health insurance premiums without itemizing and without the 10% income limitation. Anyone who has had to purchase private insurance and seen the costs involved knows this is a huge advantage. For those with a family, it could easily be a $10,000 or more tax deduction that employees in similar situations are not able to take. And you don’t need to have the health insurance plan run through your business to count. It can just be a regular, private health insurance plan. As long as you are self-employed and don’t have any group plan available to you, you will qualify. The self-employed health insurance deduction is great for deducting the health insurance premiums, but what about actual medical expenses? Is there a way to make some of those tax deductible without the crazy itemized and ten percent of income limitations? Believe it or not, the answer is actually yes – if you can get a health insurance plan that allows an HSA as a part of it. A health savings account, or HSA, allows you to put up to $3,400 for an individual or $6,750 for a family into a savings account that is used specifically for medical related expenses. Every dollar you put in there is a write-off on your tax return. This is essentially a shortcut for being able to deduct between $3,400 and $6,750 of those medical expenses on your taxes without those pesky limitations the IRS likes to put on you. One word of caution on this one: once you put the money in the HSA, do not take it out for non-medical related reasons. Doing so can subject you to similar penalties to taking out retirement income early. It can get ugly and expensive. This deduction is solely for being able to deduct medical expenses. As with many things tax related, there are ways to make medical expenses significantly more deductible, it just takes some planning and strategy. I highly recommend working with both your health insurance professional and CPA to make sure you are maximizing your ability to deduct medical expenses, especially if you are self-employed! If you’re doing business online, you should take a few steps to make sure that you’re establishing ownership of your brand. Just because your brand is based online rather than in a physical location doesn’t mean that the rules don’t apply. Start by recognizing that your brand name is legally considered a “trademark.” So the rules and advice for trademarks also apply to your online brand. Under U.S. law, if a competitor is using the same (or a similar) brand, or trademark, and they started before you did, then they’re considered the “Senior User” and their rights are superior. This means that you should carefully search to be sure that the brand name is unique and nobody else is using it for similar services or products. Just searching the U.S. Trademark website is not enough – although it’s a good start. A more thorough search is a better idea. Some people have the resources to do this due diligence on their own, while others hire a trademark lawyer to do the search for them. OK, you’ve found that your new brand is unique and nobody else has a legal claim on it. 1. Get your brand out there! Since trademark rights are acquired through use in commerce, the sooner and more publicly you start using it, the faster you will acquire those rights. Lots of people think the opposite is true – that they have to keep their brand name a secret. If you get that advice, ignore it. As long as you’ve determined that your preferred brand is available, it’s usually best to publicize it as soon as possible. 2. File to register your brand with the trademark office. Again, this is something that some people do on their own, or through some online services, but studies show that trademark applications that are filed by attorneys are more likely to go through and become registered trademarks. Do your research, talk to multiple attorneys, and find the one who’s the best fit for you and your business. 3. Secure your brand name for all the different social media accounts that you might want to use. When a new social media services debuts, act quickly and grab your brand name before somebody else does! 4. Get as many domain names as you can. Think of how someone might misspell your brand, and get those domain names, too – you can just redirect them to your site. In my experience, lots of entrepreneurs skip this last step. They get MyBrand.com but not variations on the words in their brand name. Then someone else comes along, grabs a domain name with a slightly different spelling, and starts causing trouble. The cost to get the domain name back can turn into thousands of dollars, when the entrepreneur could have gotten the alternate domain names for next to nothing if they’d been proactive about it! So, to summarize, always do your due diligence and follow the few simple steps above to protect your online brand. If you do, you’ll be well on your way to creating valuable intellectual property that you can own and benefit from for years to come. Entrepreneurs On Fire Celebrates 5 Years! For four years straight we’ve been celebrating Entrepreneurs On Fire’s birthday in Maine, but year five brought a new kind of party – this time, in Puerto Rico. As is common with most weekends in Palmas, someone hosts some type of get together – a brunch, a Friday night couple’s game night, a Sunday bbq… We’re never at a loss for things to do! The weekend of September 2nd was really no different: Mark and Krista, Founders of American Posture Institute, were hosting a BBQ at their place on Saturday afternoon at [12:30]. Because a lot of people in Puerto Rico are, well… on “Puerto Rico time”, John and I didn’t really think twice about leaving our place around [12:45] and showing up at 1pm. As we drove into the gate and up to Mark and Krista’s house, we saw Mark standing outside. John and I both thought to ourselves that this was a little strange: Mark greeting us outside? So we follow Mark inside, and walking through their living room we notice a huge picture of John on their TV – you know, the one with his hair and arms on fire. Hhmmmm… okay, that’s definitely odd. We know our Palmas crew are fans of the show, but this was definitely a little out of place. John and I were both SO SHOCKED! The crew did such an amazing job of hiding it; we had NO IDEA! A huge shout out to the Palmas Power Couples for bringing the heat and helping us celebrate 5 years with Entrepreneurs On Fire! It was actually at the BBQ we all started talking about and tracking Hurricane Irma, which was about 3-4 days off the East coast of Puerto Rico. With a few Puerto Rico veterans in the house feeling pretty confident that Irma wasn’t going to hit PR, everyone had full intention of staying put. And stay put they did. However, that same night I was faced with a really tough decision. It was September 2, and on September 8 I had a flight out of PR to San Diego to visit my family before heading to Austin to speak at an event. That would be just 2 days post-Irma, and I was pretty nervous about my flight on the 8th getting canceled – and potentially being stuck in PR – if I didn’t get out of there ahead of Irma. So I booked one of the last flights that would leave PR before Irma hit: Tuesday afternoon, Sept 5th. With a worry in my gut that I’ve never felt before, I boarded a plane to FL where I’d connect to San Diego. All I could think about was John being there by himself. I found a lot of comfort in the fact that John would be with everyone, and Irma came and went without too much damage done in our community. A couple of fallen street signs and some downed trees, but nowhere near the type of damage that could have been had Irma hit PR head on. Judging from the first image below, you can see Puerto Rico wasn’t directly in Irma’s path, but you can see in the second image that PR certainly didn’t go untouched either. There was a lot of damage done to the capital, San Juan, and sure enough, the same day I few out of PR, my flight on September 8th was canceled. As Irma passed, the island of Puerto Rico let out a huge sigh of relief. There was of a course major concern for the islands behind us that had just been massively impacted, and a lot of thoughts and prayers being sent ahead to FL and the East Coast. Within days members of our Palmas crew were at Sam’s Club and Costco purchasing food, water and supplies to ship out to the islands around us. With a little loving help from a neighboring island, PR was doing what it could to restore some type of normalcy around it. But right on the heels of Irma we caught wind of another hurricane that could be danger for PR: Hurricane Jose. Luckily, within a couple of days, the threat of Jose hitting PR didn’t exist. But it wasn’t 48 hours later we heard about Hurricane Maria. Not only had Maria picked up speed incredibly quickly – going from a Cat 1 to a Cat 5 within a day – but she was tracking further South than Irma, a fact that didn’t bode well for PR. The response to the news of Hurricane Maria was drastically different from that of Irma. Veteran Puerto Ricans were rushing to the store and stocking up on supplies, and unlike Irma, over half of our crew was scrambling to find a flight off the island. While John was seriously considering staying in PR, the path of Maria only got scarier. By Sunday, September 17th there were zero flights off the island that weren’t already full. Hurricane Maria was starting to get VERY real. And on Monday morning, I got a call from John. Our friends Ginni and Tony had sent their two kids in a chartered jet with another family from Palmas, leaving 1 plane ticket available for whoever wanted it. By Monday evening, after a lot of phone time with Jet Blue and some very close calls, John had a ticket for a flight Tuesday evening, September 19th, at 5:30pm. Just about 3pm that day I heard the airport would be closing at 7pm. John was literally one of the last flights off the island ahead of Maria. As you can see from the images below, there was absolutely no doubt that Maria would hit PR. It was just a matter of where. In the last image below, that star represents our community. Hurricane Maria hit within 10 miles of Palmas Del Mar. The next 72 hours were terrible. We knew exactly who had stayed in Palmas, and we hadn’t heard from any of them. It wasn’t until Friday afternoon – more than 50 hours after Maria hit – that we finally got a phone call from Ted & Arleen confirming they were safe, but that Palmas was in very bad shape. It was a breathe of fresh air to hear from them, but in a very strange way. The news they were sharing, the experience, and their surroundings didn’t sound real. Even once we saw pictures of our community and home from those who were actually there on the ground (not the news, or CNN, or the Internet), it was still hard to come to terms with what Puerto Rico is going through right now. This is an image looking down our street. The last time we saw it, it was lined with beautiful, fluffy green trees. Below is an image of one of our favorite restaurants, not a quarter mile from our house, La Pescaderia. Luckily the main part of the restaurant was boarded up, but the entire property still sustained terrible damage. Our favorite beach bar, Beach Bohio, was completely washed away. We’re very blessed that everyone in the community made it through Maria without injury, and we continue to send our thoughts and love down to the island every day. My flight back to Puerto Rico has been canceled twice now, leaving us unaware of when we’ll even be able to make it back to our home. Most of Puerto Rico, including our community of Palmas Del Mar, continues to be without power, without water, without access to gas and diesel, and without the supply chain that can help breathe life back into a devastated area. Thankfully we finally have more regular contact with our friends in Palmas. While they have to drive 40-50 minutes for service to call, they’ve been incredibly awesome about doing so. We’re also incredibly grateful to everyone who has reached out and offered to help. Thank you! The relief efforts are underway, but unfortunately the infrastructure isn’t present to support those efforts. We wish we had a better way to help, but right now what Puerto Rico needs is trucks with gas, clear roads, and drivers who can haul supplies throughout the island. If Maria has done one thing for us, it’s put everything in perspective. Amidst Maria I was prepping for a weekend in Austin for our great friends Jill & Josh Stanton’s live event: Screw U Live. The event is put on for their community, Screw U, and this year it brought together nearly 100 incredible entrepreneurs who are working towards – or who recently have – screwed their 9 to 5. Because of Hurricane Maria, John was able to join us, which was a great treat! The 2-day event featured seven speakers, including Jill & Josh, and to say value was dropped would be an understatement! Perhaps the biggest takeaway of the weekend was the power of community and knowing you’re not alone. The opening keynote following Jill & Josh’s talk was James Wedmore, who took the group through some incredible exercises to help determine what their business will look like when it’s done being built. How does a company like that look and act? If you take the time to sit down and really map out what your business looks like when it’s done being built, and then ask yourself how a company like that looks and acts, you’ll be surprised at what you come up with. The final step James covered: now that you know, ACT like it. I took a few notes throughout the event, and I’m excited to share some of those right here in our income report, including the 4 biggest lessons Jill & Josh shared from their 4 years in business. Because let’s be real: the people you surround yourself with lift you up, encourage creativity, and affect your behavior. Invest in yourself and others will invest in you. Investing in yourself builds confidence, increases competence, and helps you build connections. Compare yourself to others and they will compare you. When you compare yourself to others who are “ahead of you” in business, you end up copying and copying ends in bad results. A huge shout out to Jill & Josh Stanton of Screw the 9 to 5 for bringing the heat, creating a space for entrepreneurs to connect and thrive together, and for hosting one hell of an event! If you’re looking for a supportive, upbeat community to help support you on your journey to screwin’ the 9 to 5 and building the business of your dreams, check out Screw U! As I sit here on my friends couch in NYC, I’m reflecting upon this quote. When things in life are going INCREDIBLE, it’s important to remember This Too Shall Pass, and enjoy the moment. When things are going TERRIBLE, it’s important to remember This Too Shall Pass, and not dwell on the negative. Currently, much of our home in Puerto Rico is destroyed courtesy of hurricane Maria, and I could dwell on that reality. Instead, I choose the mindset of This Too Shall Pass, and I know there will be a day where our place in PR is beautiful once again. What is going great in your life Fire Nation? I look forward to posting another photo months from now when our home is whole once again. The post Entrepreneurs On Fire: September 2017 Income Report appeared first on Entrepreneurs on Fire with John Lee Dumas. Setting and accomplishing goals isn’t easy; if it were, why wouldn’t everyone be doing it? Today’s episode walks through the most critical steps you can follow to make it happen. All the details of what’s included below is inside of this episode! Before we dive in, one of the most important lesson I’ve learned is that goals are accomplished one at a time. If you want to make progress and move forward in your business and life, then FOCUS is integral. So before you fill your plate with way more than you can handle, resulting in massive overwhelm and zero action, take a step back and realize that any successful business has been built ONE block at a time. Here are the steps you can follow starting today to set and accomplish your biggest goals. Following the 5 steps of reflection will help you choose your goal. Remember, ONE goal at a time. Progress requires FOCUS. Once you’ve chosen the ONE goal you’ve focus on, it’s time to make it SMART. Now it’s time to put a plan in place. The simplest way to do this, since you already know exactly where you want to go, is to reverse engineer your plan. Given what you want to accomplish, what are the bigger picture tasks that need to happen? Walk backwards into identifying the smaller steps you need to take to get there. In The Freedom Journal, these are called 10-day Sprints. During each sprint, you work towards accomplishing ONE of your micro-goals. You need to be able to track your progress towards accomplishing your number one goal. In The Freedom Journal, this happens every 25 days. Do you need to correct course? How are you doing time-wise? Time to leverage your “measurement” and gauge your pace! And remember, be flexible! If you need to pivot, that’s okay; that’s exactly why we set 10-day Sprints and Review Periods to help us along the way. This is a critical piece of the puzzle; if you’re not actually doing the things you’ve already identified as the necessary steps to help you accomplish your ONE goal, how do you expect to get there? It’s really easy to “let it slide”, but now is the time to step up and NOT let yourself get away with pushing deadlines, saving something for tomorrow, or getting distracted by things that aren’t contributing to you getting one step closer to accomplishing your goal. If you want a step-by-step guide to everything we’ve talked about in this episode – plus the daily accountability you need to keep your progress and momentum strong – then The Freedom Journal is for you! Cheers to setting and accomplishing your biggest goals! 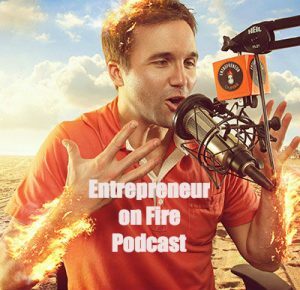 The post S7E9: Setting and Accomplishing Your Biggest Goals appeared first on Entrepreneurs on Fire with John Lee Dumas. It’s always been my thought that if you’re not learning anything from the projects and goals you’re working on, then what’s the point? The lessons you learn along the way all prepare you for future projects and goals, and they remind you that nothing of high value comes easy. We identified 8 lessons learned from launching The Freedom Journal on Kickstarter, and here they are. Tune in to this episode for details on every lesson learned we share here! Our designer spent countless hours refining our Kickstarter page, and we pulled out all the stop when it came to creating an incredible Kickstarter video (I talked about this in detail in our Hiring episode). Our designer’s #1 tip? Do your homework! What is the competition doing, and based on that, how can you make your page unique? We were convinced with the success of The Freedom Journal campaign in the first 24 hours that we’d get a feature on Kickstarter. Turns out, Kickstarter had other plans. The results of The Freedom Journal campaign would have been a whole lot different without the support from our friends and past interviewees on Entrepreneurs On Fire. It’s important to consider the time that goes into building a foundation that can steadily support your campaign. But we also learned a lot after the fact! Be open to learning new lessons and don’t forget to take that knowledge onto the next project with you! Like many of our Freedom Lovers who are on their 100 day journey, we know how important it is to celebrate the wins along the way. Not only to give yourself well deserved props, but also so you can prove to yourself you ARE making progress! There may be a lot of hiccups along the way – roadblocks and major pivot points – and that’s why celebrating the wins when they come can make all the difference. Taxes? Who said anything about taxes? We did a pretty incredible job of preparing for this launch; however, one thing we weren’t prepared for was the work involved – and steps required – once we started distributing and selling The Freedom Journal outside of Kickstarter. The post S7E8: Biggest Lessons Learned from Idea to Launch appeared first on Entrepreneurs on Fire with John Lee Dumas. You’ve put months into getting to this point on your journey from idea to launch, and now, it’s time to do just that: LAUNCH! You and I both know that to get to this point you’ve invested A LOT of time, energy, effort, frustrations… and when launch day hits, it’s go time. But for us, launch day wasn’t a single event. Starting way back in the Brainstorming and Planning phase, and throughout the Marketing phase, we always had in the back of our minds that launch day would last for 33 days: the same number of days as our Kickstarter campaign. In order to make that happen – to leverage the Kickstarter platform, to keep our audience engaged, to continue the momentum we were able to spark before the campaign even launched – we had to do a lot of preparation and planning. Good news is, because you’ve been on this journey with us throughout Season 7, you already know every step we took – and the timeline we followed. When January 4, 2016 arrived, we pulled out all the stops. John woke up at 3:30am Pacific time to hit publish on a campaign that we’d be preparing over a year for. Within just four hours we had hit our first funding goal of $25k, which assured us we were off to an incredibly strong start! That day the first Freedom-focused episode went live on Entrepreneurs On Fire and on The Freedom Journal podcast: it was an interview I hosted with John as my guest. That day we also were able to watch as dozens of emails went out and hundreds of social media posts were shared by our supporters – remember, these are the friends who we made ‘the ask’ to (discussed in our Marketing phase). Guest posts were going live, our press release was picked up, and news stations were featuring The Freedom Journal campaign throughout the day. All the time, energy and effort spent preparing for this day was paying off – BIG TIME! Not only were all of our marketing efforts coming together beautifully, but we were receiving dozens of emails from Fire Nation and other Freedom Journal supporters expressing their excitement for The Freedom Journal and the campaign as a whole. So it turned out it wasn’t just us pulling out all the stops on launch day; Fire Nation did, too! We closed out launch day strong with a launch party at a local co-working space, Co-mmunity, right near our home in San Diego. For example, anyone who attended the launch party was given the opportunity to either ‘up’ their pledge, or make a pledge for the first time right then and there. The benefit of doing so? Anyone who pledge at the 4-pack level or higher would receive a hardcover copy of The Freedom Journal right then and there. Those who took advantage were among the first to hold The Freedom Journal in their hands! But like I said earlier, launch day wasn’t the only day we pulled out all the stops. We continued pulling out all the stops for the entire 33 days. Most of this is evidenced through studying our marketing campaign, which was carefully crafted for maximum impact throughout the 33 days of the Kickstarter campaign. Launch day should be a huge event, but all the hard work you’ve put in up to this point should be leveraged throughout your entire launch campaign. Whether that’s a few days, a couple of weeks, or 33 days, remember to be creative and test different things out! You never know what’s going to stick with YOUR audience. 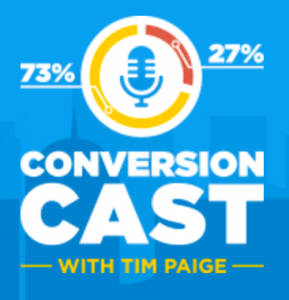 The post S7E7: The Launch Phase appeared first on Entrepreneurs on Fire with John Lee Dumas.